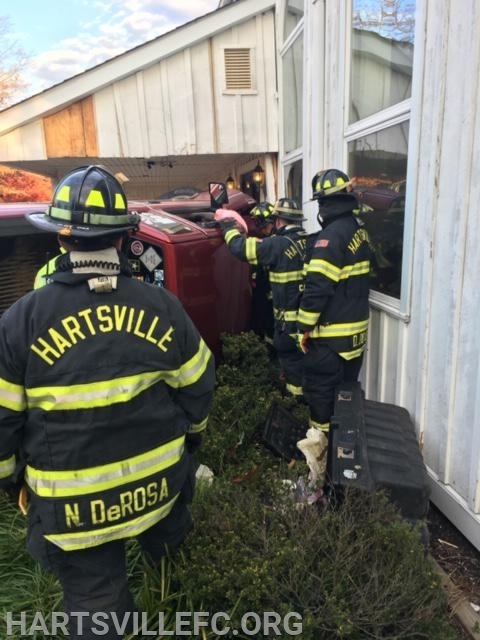 Halloween morning, crews were dispatched to the Ivyland New Church for a reported vehicle into the building with occupant trapped. 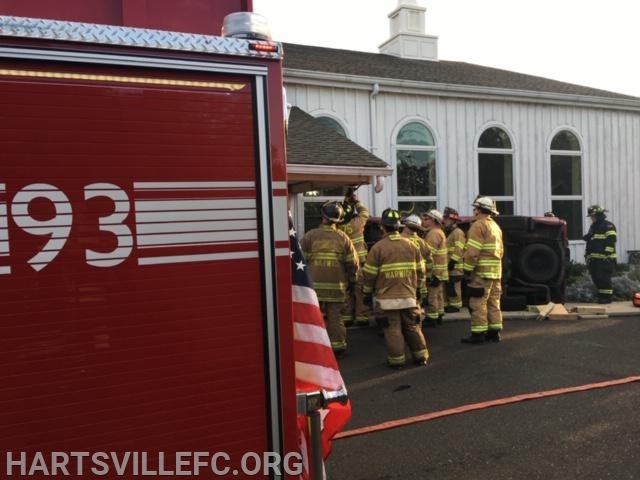 Engine 93 arrived on scene to find one pickup truck on its side and the driver unable to get out. 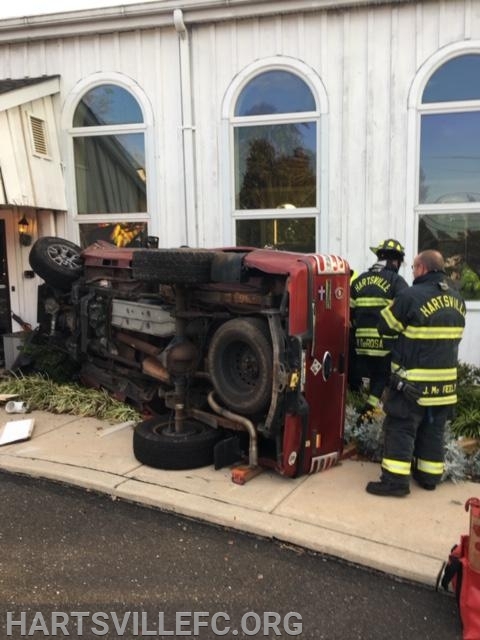 Crews worked to stabilize the vehicle and remove the driver and deliver him to medics from Central Bucks EMS. The accident is under investigation by the Warwick Police Department. Rescue crews from Warrington and Warwick were also on scene.